Ambassador Barbara Stephenson, President of the American Foreign Service Association, discusses reports of resignations, retirements and rotations within the State Department’s senior management team. 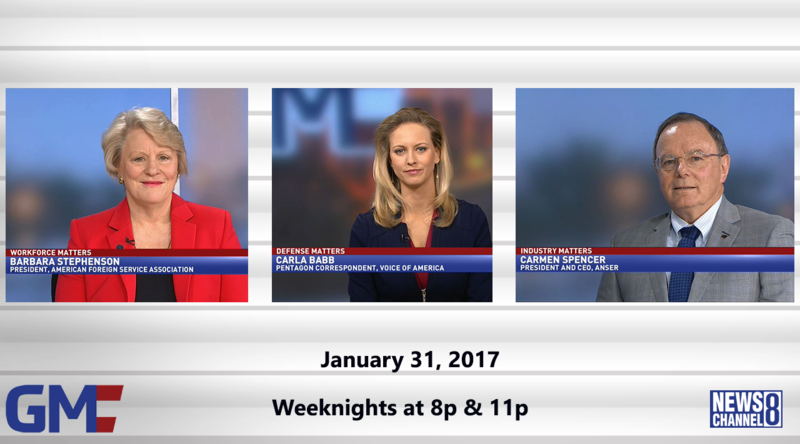 Pentagon correspondent for Voice of America Carla Babb, discusses President Trump’s executive order, “Rebuilding the U.S. Armed Forces” and it’s impact on the Pentagon. Carmen Spencer, President and CEO of Anser, discusses the acquisition of Advanced Technology International by Anser, and it’s impact on research and development efforts government-wide.